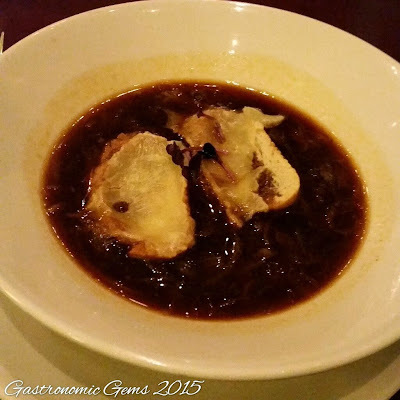 Soup A L'Oignon - French onion soup with cheese "gratine" (AU$14.5) - We do love a hearty, sweet and cheesy onion soup. This version was ok. It would have been better with more onion and cheese. 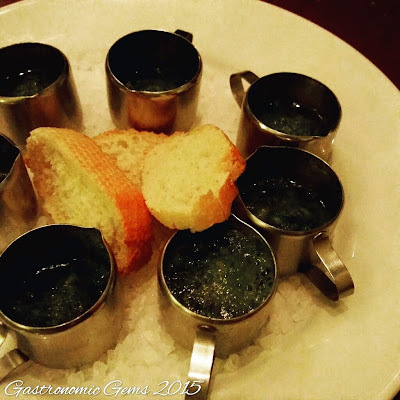 Escargots De Bourgogne - snails in garlic and fennel butter (AU$19.5) - The snails were served in tiny serving cups instead of in shells. The tiny morsels were rich and delicious. 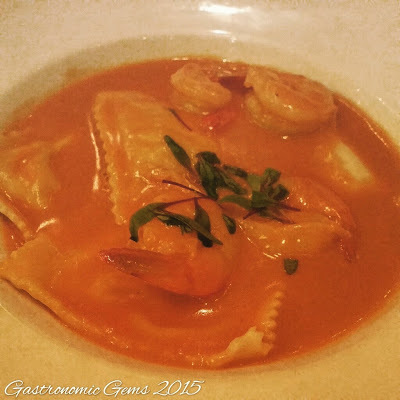 Ravioli A La Langouste Et Aux Cervettes - lobster and prawn ravioli in a creamy bisque sauce (AU$36) - Beautiful colour, rich sauce and perfectly cooked ravioli. What more could you ask for? Kangourou A La Bouffe - kangaroo fillet with sautéed baby spinach, sweet potatoes, poached pear, chocolate glaze and jus (AU$36) - This must be the best kangaroo we have ever had. 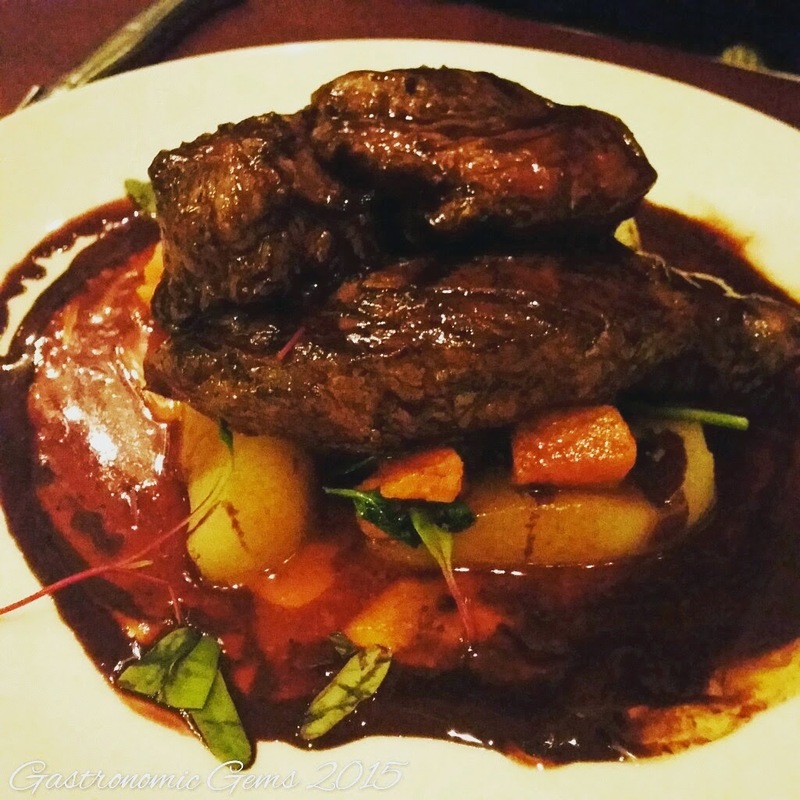 Beautifully rare, perfectly seasoned and the interplay between sweet and savoury went perfectly well with the slight gaminess from the kangaroo. Delicious! 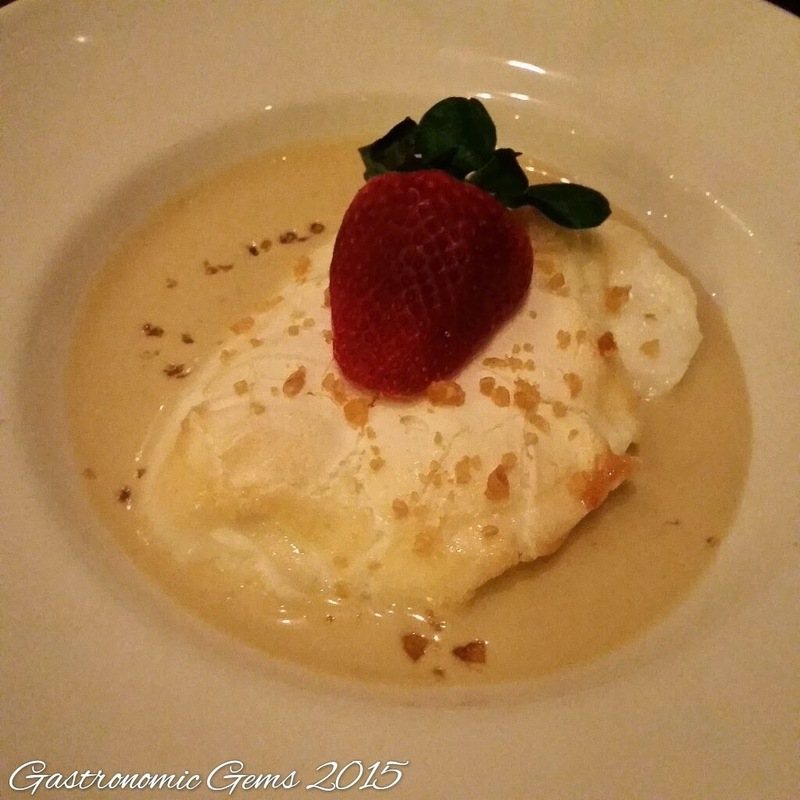 Ile Flottante - oven baked soft poached meringue on a hazelnut creme anglaise (AU$14) - Very unique and delicious. We had heard of it but never had it before and it is certainly an interesting dessert and worth trying. Quite rich with the creme anglaise.